SULPHUR SPRINGS, TEXAS, NOVEMBER 2, 2017 – American Legend Aircraft Company announced today a customer-flown Super Legend took first place and scored best overall in the recent Texas STOL Roundup. With two Super Legend aircraft participating, their skilled pilots conspired to take a first and a second place, respectively, in obstacle and traditional STOL competitions. The 2017 Texas STOL Roundup was held at South Texas Regional Airport in Hondo. The former Hondo Army Airfield operated by Army Air Corps in 1942, is now a large public use airport with runways as long as 6000 feet. Much of the expanse was used for spectators and aircraft parking while the Short Takeoff and Landing (STOL) events required as little as the width of the main runway. A newly completed Super Legend XP, piloted by its owner Joe Edwards, aced the obstacle competition taking first place by significant margin. Participating in the LSA/Experimental class, Edwards used 158.1 feet for takeoff and 530.7 feet in landing (including a displaced threshold of 300 feet) over an obstacle of 25-foot inflatable pylons. His landing performance was the best recorded score in all experimental and bush classes. Edwards’ combined score (takeoff + landing total distances) was significantly shorter, by 110 feet, than that of the closest competitor and best overall among all competing aircraft. A second Super Legend HP, piloted by Scot Warren of Warren Aircraft, finished a close second in the traditional heat involving a straight in, low-and-slow approach to landing beyond a line and dissipating energy as quickly as possible. Takeoff performance in the Super Legend HP is effectuated by a 180 horsepower Titan engine. The aircraft has an outstanding power-to-weight ratio as it is manufactured to the LSA maximum weight of 1320 lbs. The Super Legend XP is a performance enhanced version of the Legend Cub. Its features include square wing tips, extended flaps and ailerons, 40-gallons-usable fuel tanks, an extended forward landing gear, Acme Aero Shocks, and enhanced baggage areas. The wing modifications produce outstanding slow speed characteristics, higher top speed, and greater control authority. The extra fuel capacity allows for longer roundtrip/backcountry flights without a fuel stop. With its extended landing gear, three inches forward and three inches higher, the Super Legend assumes an increased angle of attack. Acme Aero Shocks, tundra tires and a dynamic coil spring tailwheel manage shock absorption on taxi and landing. According Edwards, “The XP is the best of all worlds. It cruises more comfortably and it performs short takeoffs and landings with the best them. My XP stalls at 8 MPH less, at approximately 25 MPH, with its longer flaps.” Well-known performance pilots who have embraced the Legend Cub include Bruce Bohannon, Frank Knapp, and Greg Koontz. The Super Legend is a true 2-place aircraft that uses time-honored construction methods with widely available support. 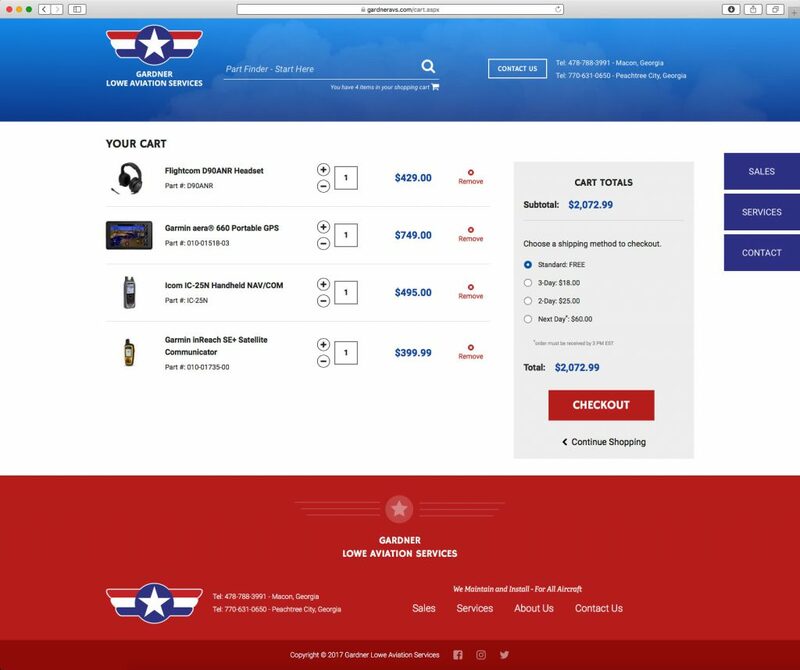 American Legend Aircraft Company continues to be one of the most successful manufacturers of sport aircraft and is renowned for building aircraft that are sensibly modern, competitively priced, and built to last. Click on images below to download hi-res photos. 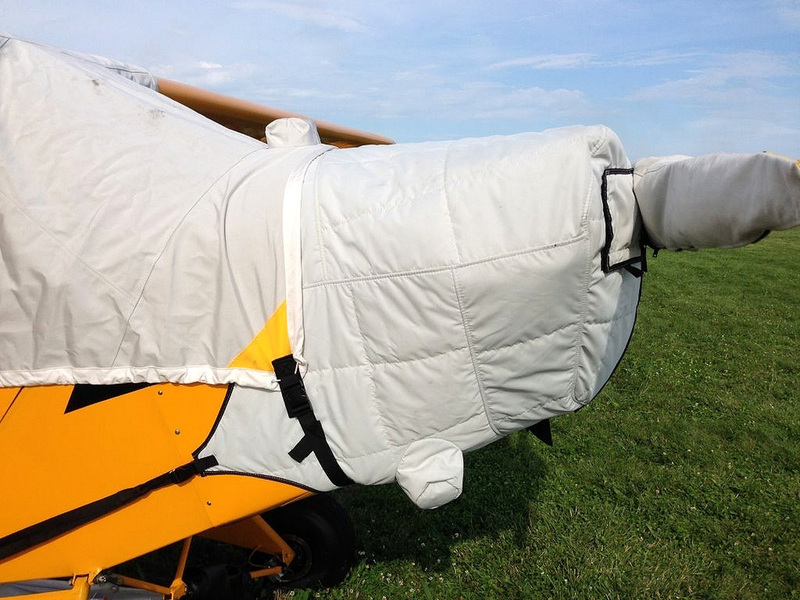 MORGAN HILL, CALIFORNIA, NOVEMBER 2, 2017 – Bruce’s Custom Covers announced today their new and improved insulated covers for aircraft engines. Insulated covers from Bruce’s are constructed using 3M Thinsulate for superior heat retention and WeatherMax performance fabric for maximum durability. Bruce’s engine covers come with many customization features specific to each aircraft application. Bruce’s has been manufacturing custom-designed aircraft covering systems for more than 37 years, enhancing and improving their products along the way. 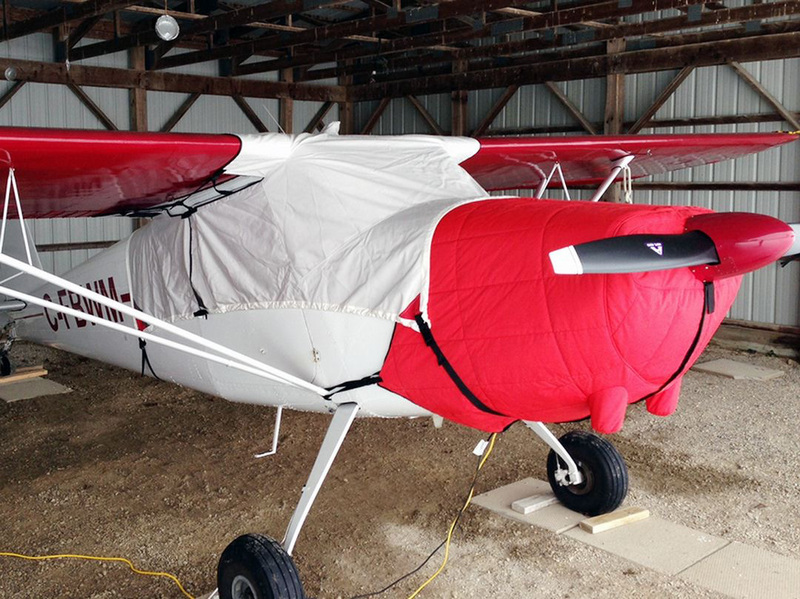 Insulated aircraft covers from Bruce’s are manufactured using 3M Thinsulate, a widely recognized winter insulating material. Made of synthetic fibers, Thinsulate is a thin and lightweight filler material that works to trap internal heat. Thinsulate gives Bruce’s aircraft covers their unique insulating ability and works even under damp conditions allowing potentially corrosive moisture to escape. The shell of Bruce’s insulated covers is constructed using WeatherMAX LT fabric to protect from the elements and give a quality, long lasting appearance. Designed to be watertight yet breathable, WeatherMAX fabrics are also mildew resistant and washable. Bruce’s covers are lightweight, transportable, and easy-to-handle. Properly fitted to each customer’s application, insulated engine/cowling covers cinch around, or behind, the spinner and cover the entire engine cowl area including air inlets and exhaust pipes. To ensure accessibility, covers include custom flaps for oil filler doors, cable outlets, and more to simplify access to internal components. Customization can be done in many ways, including the accommodation of preheater systems. Insulated engine covers from Bruce’s are designed to wrap around an aircraft’s cowling, sealing it from heat loss and benefitting aircraft operators in three ways. 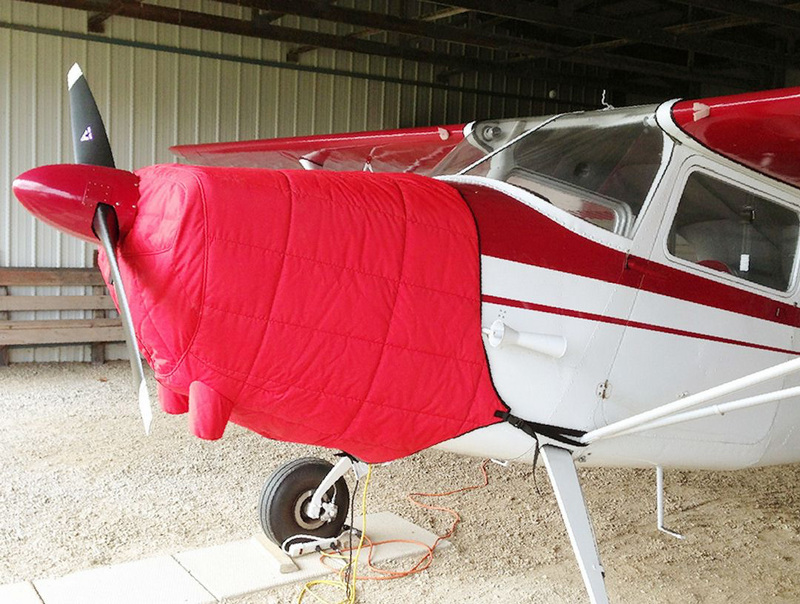 After an aircraft is flown, a warm engine can maintain its heated state for longer periods with an insulated cover allowing for improved re-starts in cold environs. Second, an insulated cover from Bruce’s significantly increases the efficiency and effectiveness of engine preheat systems. Thirdly, an insulated cover can help preserve an engine during prolonged storage. 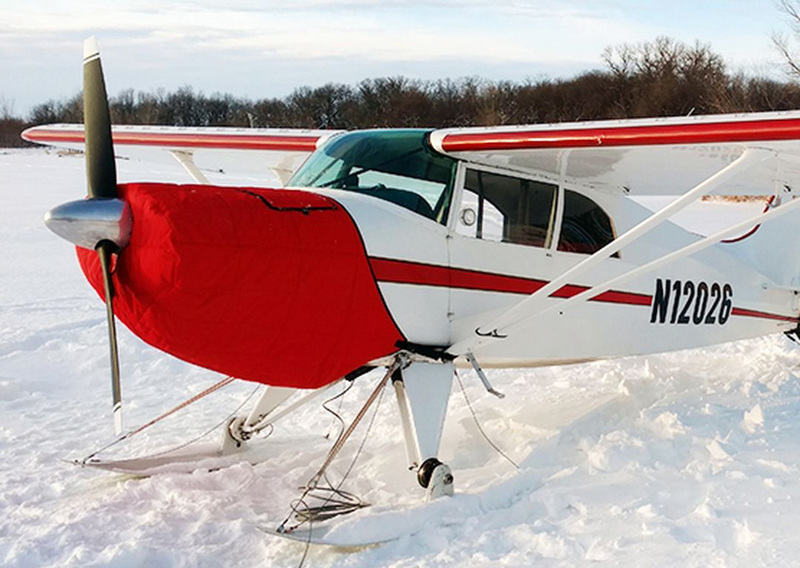 Protecting an aircraft engine from cold start wear and tear with a Bruce’s Custom Cover will ensure that engine components reach their maximum potential. For further information, contact Aircraft Covers, Inc, DBA: Bruce’s Custom Covers, 18850 Adams Ct, Morgan Hill, CA 95037, call 408-738-3959 or toll-free 1-800-777-6405 (in U.S. and Canada), bruce@aircraftcovers.com, or visit www.aircraftcovers.com.